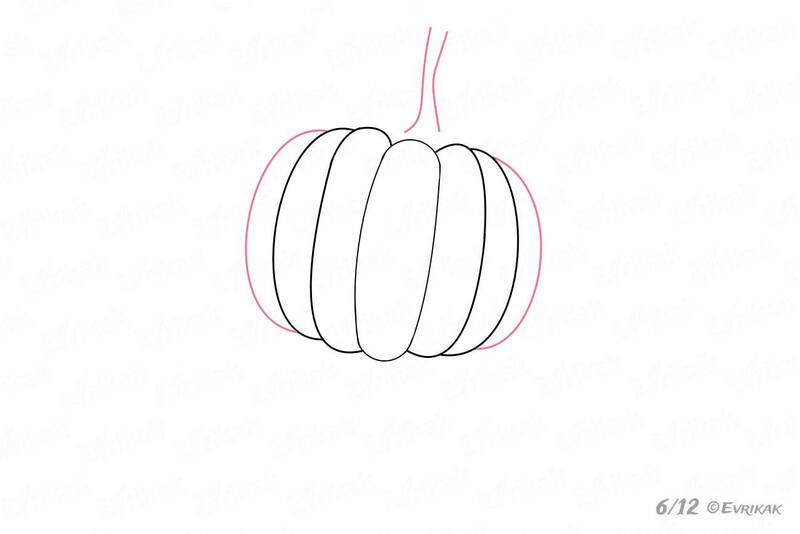 As soon as autumn comes, we can notice the orange balls in the gardens – the pumpkins. Big and small, they’re waiting when people take them into the basements. 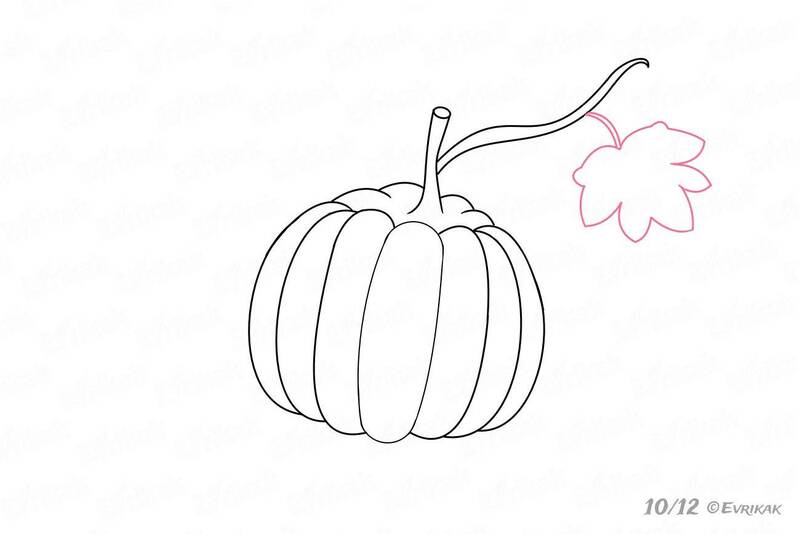 Of course, children think that pumpkins are only suitable for climbing. In fact, these berries (Yes, pumpkin is a berry) are useful sources of vitamins. 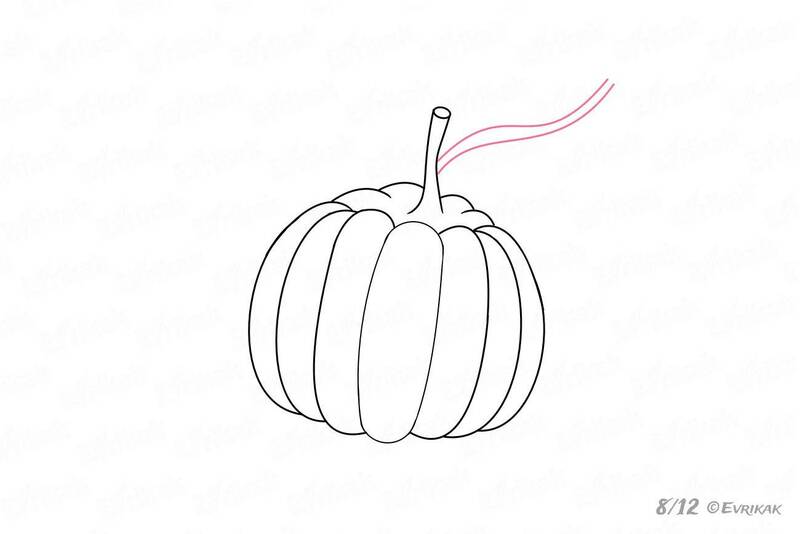 Pumpkins are used in America to decorate the streets and window sills for Halloween, cutting out the faces and putting the candles inside of them. Pumpkins contain a lot of vitamins and minerals. 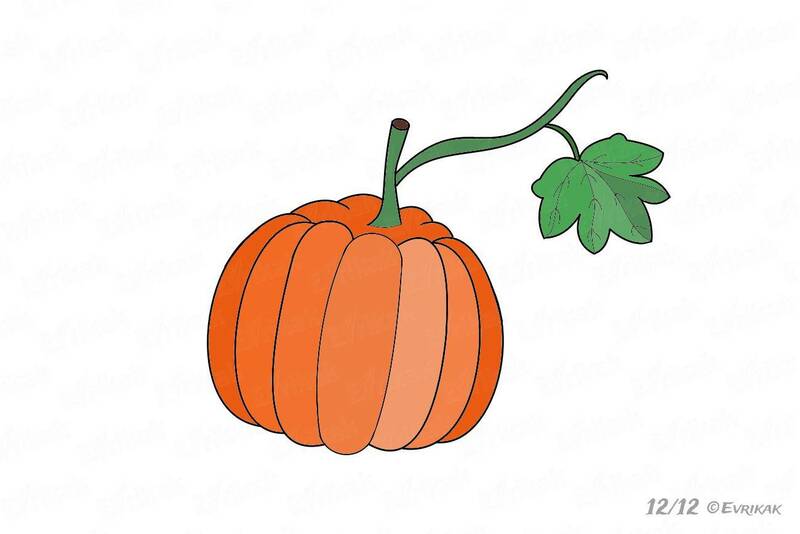 Pumpkin is a universal product which can be grown all around the world. These berries are champions in weight. The largest pumpkins can weigh more than 200 kg. And now we are starting to draw. 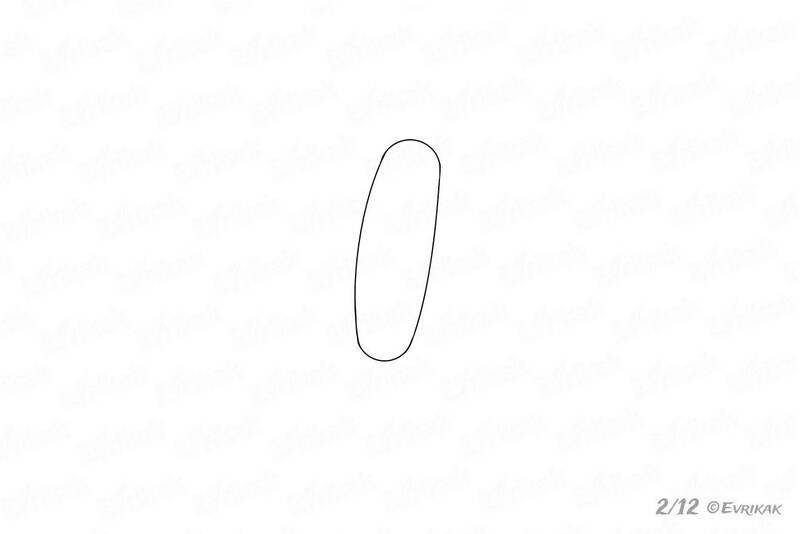 First, draw two lines. 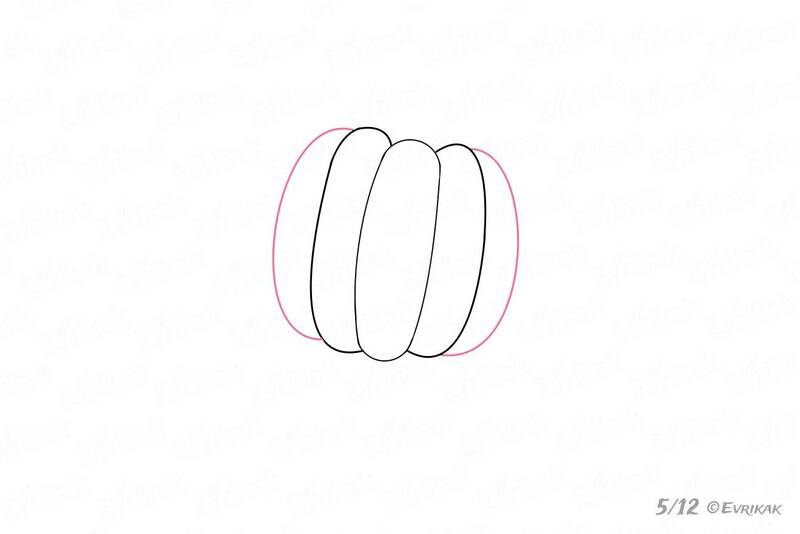 Connect them with the help of the circles at the top and at the bottom. 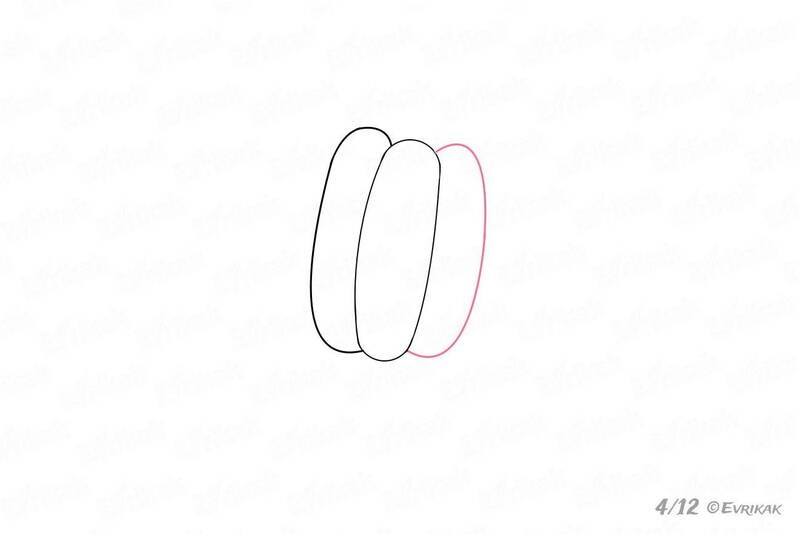 Erase the parts of the circles which are inside of the lines. 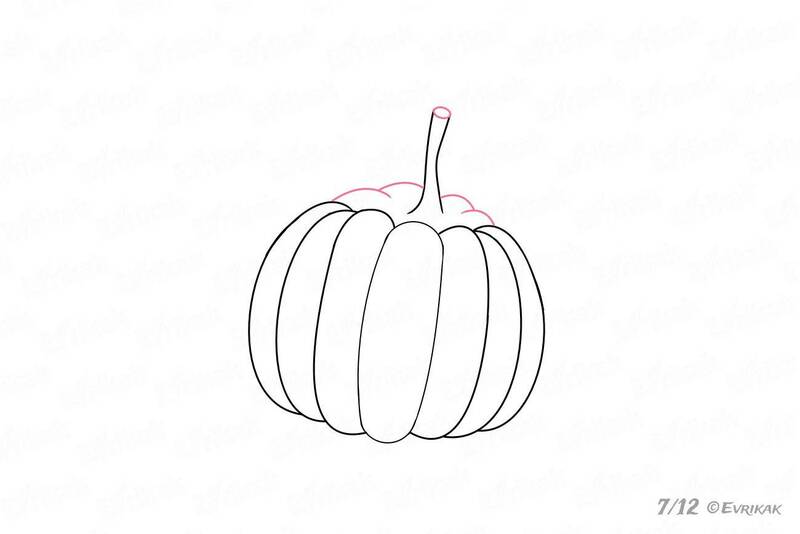 The part of the pumpkin must resemble a corn cob. 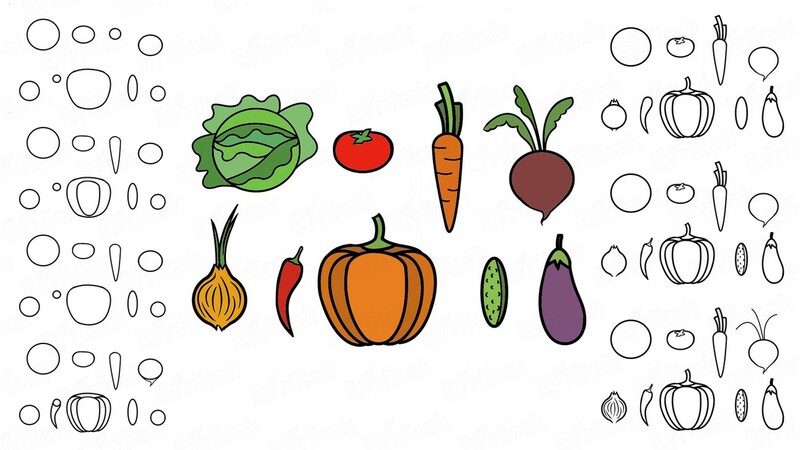 Draw the second corn cob to the left of the first one. Part of the cob must be hidden behind the front detail. 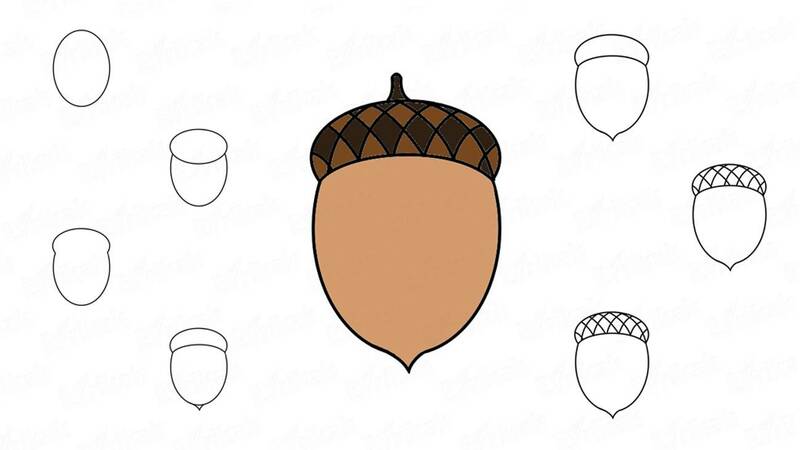 The same detail is added to the right to make the first part be in the center. 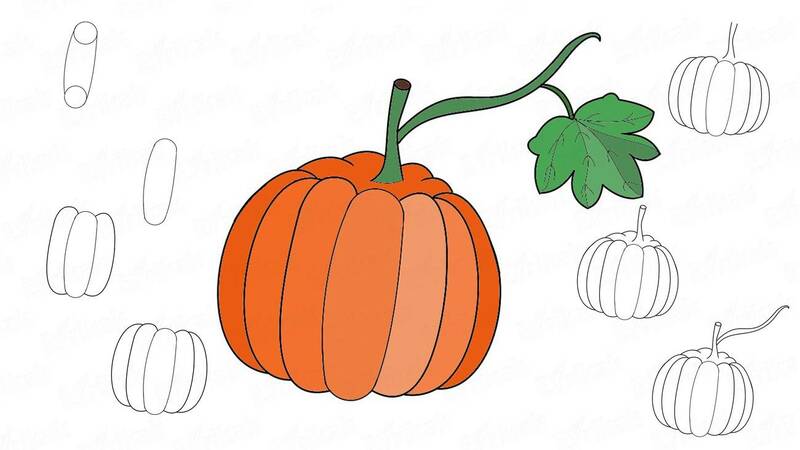 Now give the volume to the pumpkin, adding two more cobs on both sides. The last two parts of the pumpkin are half hidden behind the previous cobs. 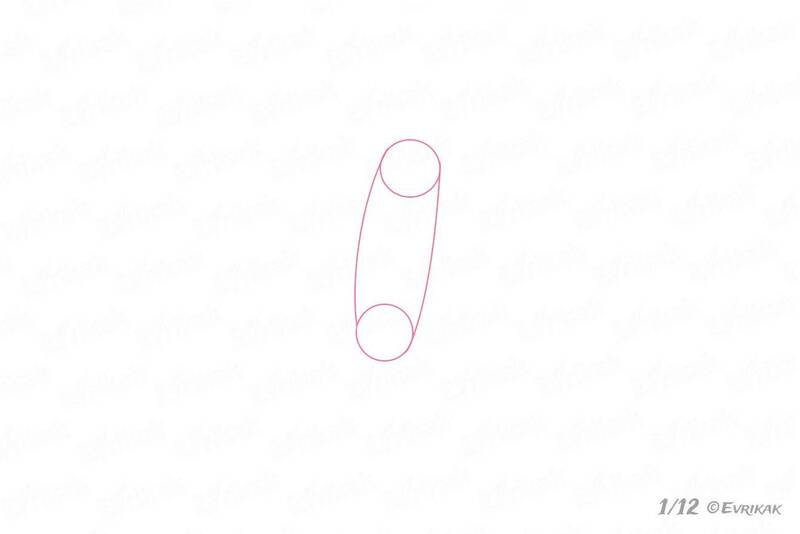 Draw a stem at the top using the curved lines. 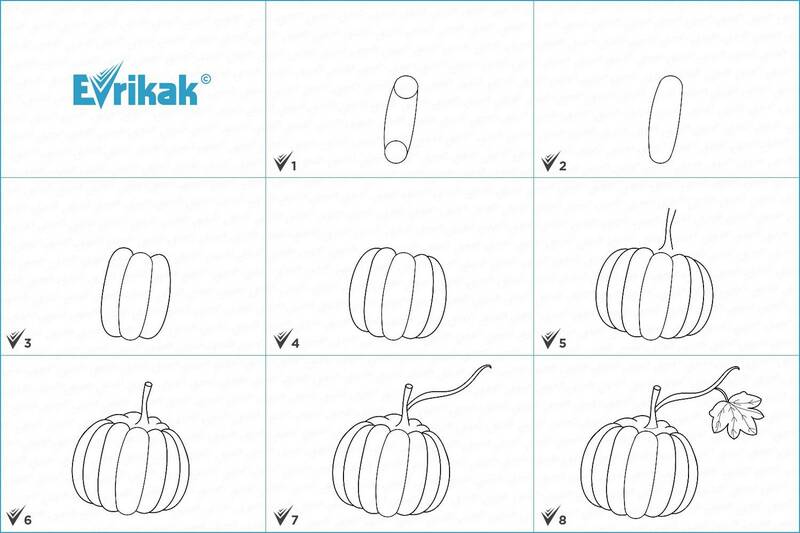 Next, draw the rounded lines around the lower parts of the stem, depicting the back part of the pumpkin. 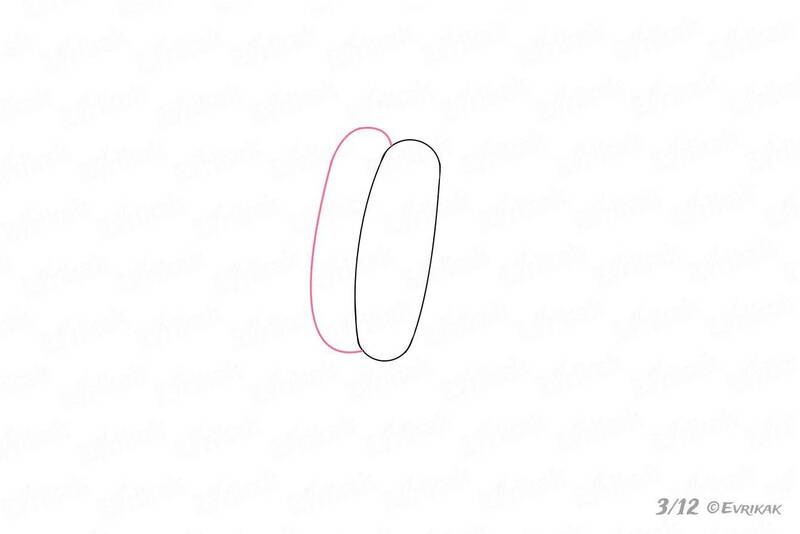 Draw two more curved lines from the main stem to the right side. his stem ends with a pointed tip which bends down. 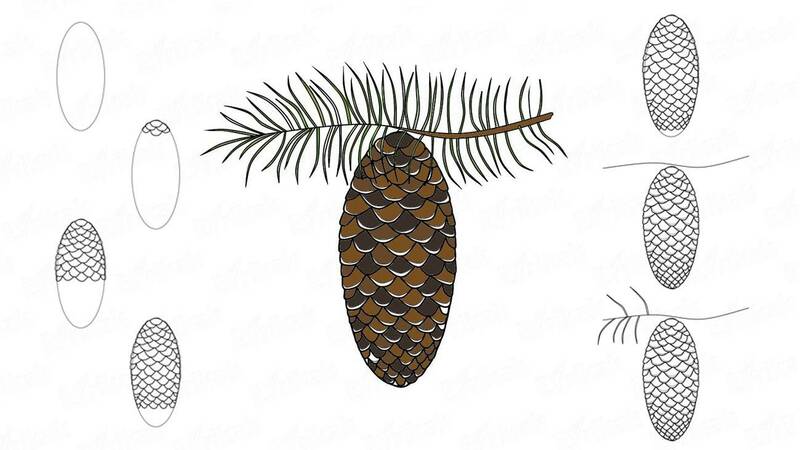 A leaf which looks like a palm of a is attached on a little stem on the bottom. Draw thin small veins from the connection area of the leaf with the stem . 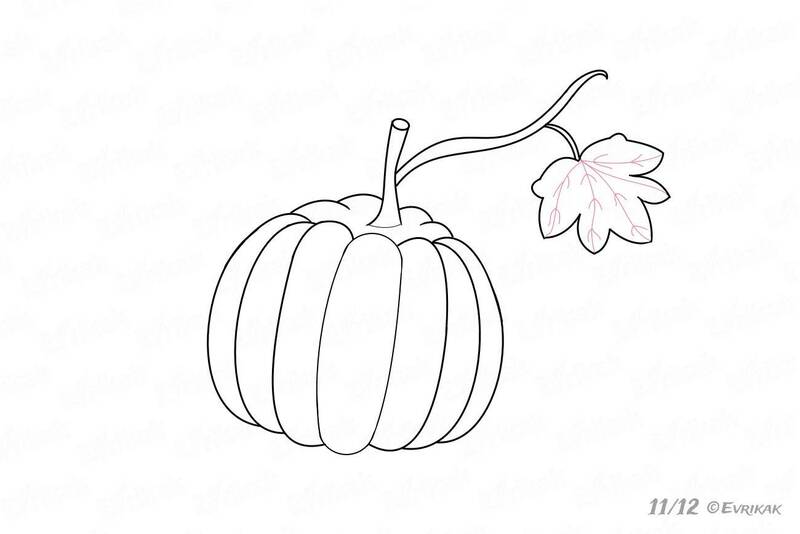 Color the pumpkin in any shade of orange and color the leaf and stems in green.